Whether you're heading to the great outdoors or having a stay-cation this Memorial Day Weekend, you gotta try these scrumptious egg sandwiches. Canadian bacon, fresh tomatoes, and eggs are stacked high on toasted English muffins then seasoned with a flavorful blend of mayo, lemon juice, and smoked paprika. Enjoy outside with a hot mug of coffee or cocoa. 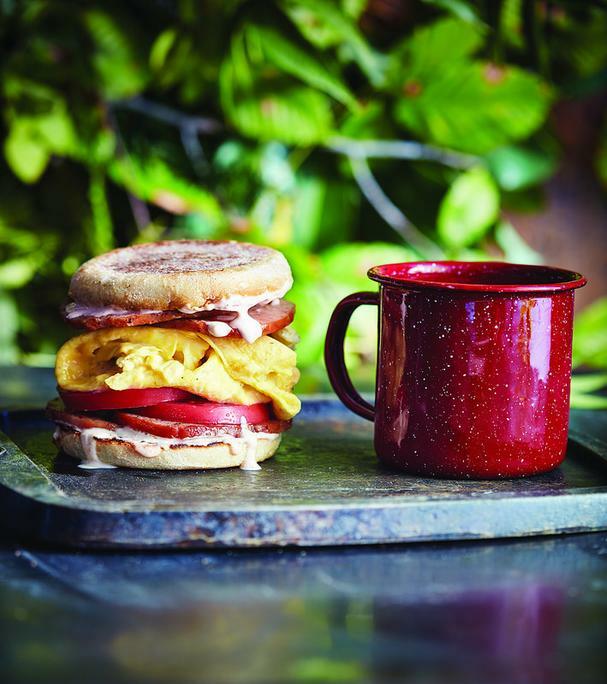 This delicious breakfast recipe is from our feature of The Outdoor Adventure Cookbook by Coleman. Get 3 more delicious campfire recipes here, like the S'Mores Cookie Cake; Cinnamon Biscuit Bites with Brown Sugar-Caramel Sauce, and a Southwest Chilaquiles Skillet Breakfast. All are made in just one skillet!